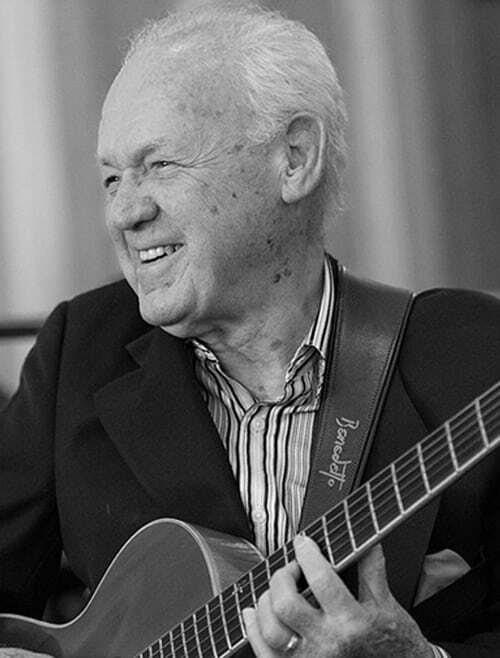 Legendary jazz guitarist, Joe Negri, began performing on radio at the age of three, playing the ukulele and singing. In the 1940s, he toured nationally and was featured with the Shep Fields Orchestra, before joining the Army for two years. After returning home to Pittsburgh, he performed locally with his brother, pianist Bobby Negri. He enrolled at Carnegie Mellon University, concentrating on music composition. He also taught guitar to students, including Ralph Patt, the inventor of major-thirds tuning. Joe Negri and Ralph Patt would go on to record together in 1989.